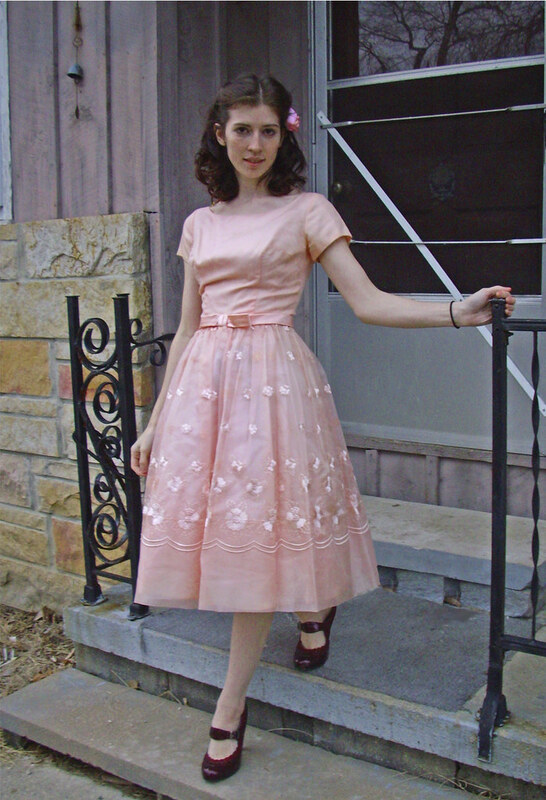 I am kind of in love with the 1950’s and early 60’s. I mean, I’m glad I live now, but I am drawn to so many things that are you know, 60ish years old. 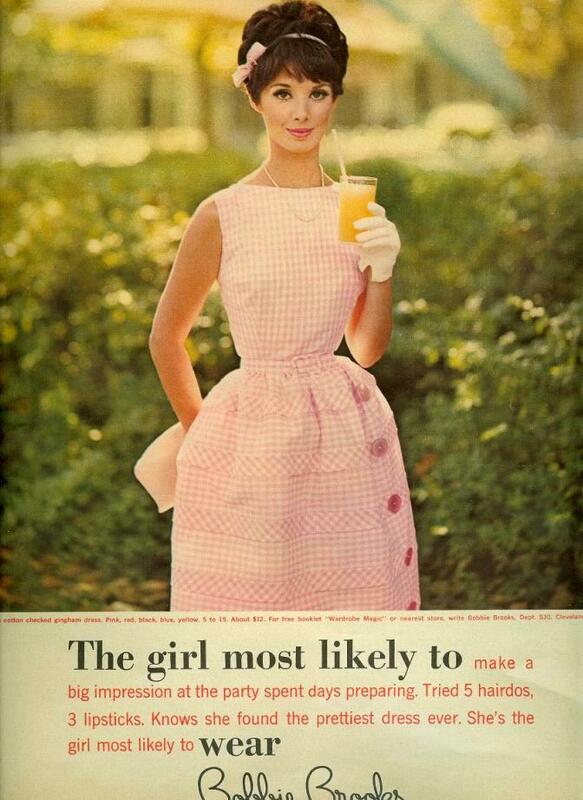 I particularly like the style of dresses from that time. Here’s a few of my favorites. 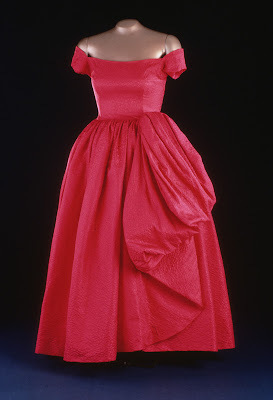 Mamie Eisenhower was married to US President (Ike) Eisenhower and she wore this dress to the 1953 inaguartion. 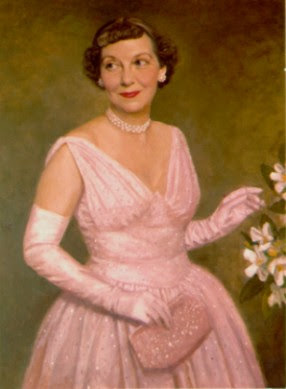 Word is it was embroidered with more than 2,000 pink rhinestones. And she had matching gloves. And a matching purse. I love it. Four years later she wore this sassy hot pink number, with matching shoes and purse and everything. I think we could have been best friends. re: Girl Most Likely To – where is her waist???? I think she had ribs removed. Wow. She needs a cupcake.